Scientists estimate that the human body contains anywhere from 75 to 100 trillion cells. But during this time of year, your body might also be infiltrated by germs that can make you feel as if you’ve been hit by a semi-truck. Logically, we know we need lots of rest in order to recover from a cold or the flu, but some people feel too tempted by the work that awaits them to take it easy. If you’re thinking about going into the office when you’re under the weather, you might want to reconsider — unless you enjoy being hounded by your fellow employees. As the Wall Street Journal reports, workers across the nation are fed up with their peers who insist on working while ill. So much so, in fact, that they’re resorting to sick-shaming their coworkers who refuse to stay home. Across the U.S., the prevalence and usage of sick days are decreasing. Some employers combine vacation days and sick days, which means workers may tend to save their paid days off for a much-needed vacation instead of taking a day or two to stay home and get well. Other employers offer no allotted sick days at all, as one-third of private sector workers lack paid sick leave. And some team members may feel worried about catching up after taking a sick day or even discouraged from doing so by management. Whatever the reason for it, this “presenteeism” phenomenon, as experts call it, has some pretty serious consequences. If you’re coming to work even when you shouldn’t, you’re one of the many American employees who falls into the trap of presenteeism (the antithesis of absenteeism). Although survey respondents reported they were 20% more productive when working on a company aircraft as compared to working in an office, you definitely won’t get more done if you’re trying to work when you’re sick (regardless of where you are). You may think you’re doing your boss a favor by rallying through the sickness, but studies show that these occurrences are extremely detrimental to both employer and employee. In fact, one survey found that presenteeism costs the U.S. more than $150 billion a year, and other studies have discovered that working while ill is far more costly than illness-related absences or disabilities. 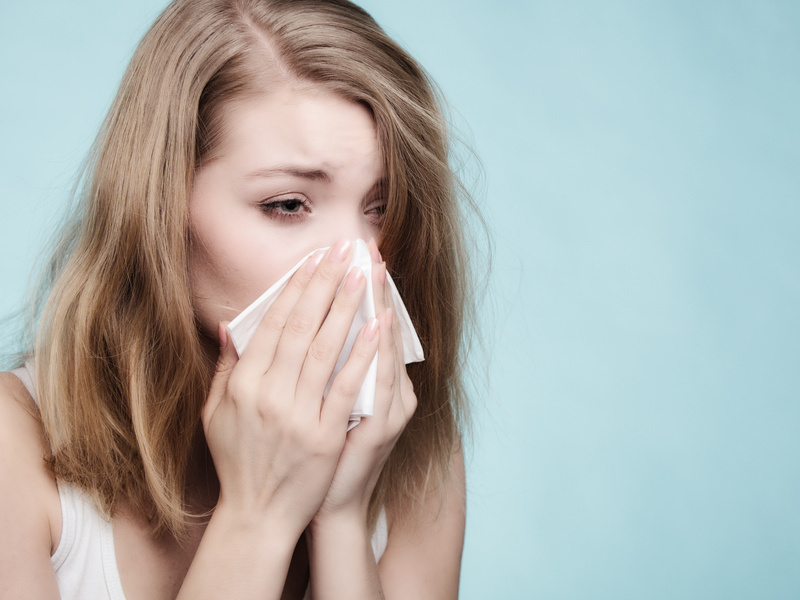 Although influenza alone is responsible for 200 million days of diminished productivity and 75 million days of work absence, those numbers likely pale in comparison to the hit businesses will take when employees work while sick. You can’t be expected to work at full capacity when you’re feeling lousy, which means you’d really be better off staying home than forcing yourself to work. Working while sick also puts your coworkers at a disadvantage. When you show up at the office coughing and sneezing, you increase the likelihood of infecting the rest of the staff (and even clients). Although 27% of U.S. patients reported visiting urgent care centers between 2014 and 2016, there’s no convenient time to get sick and have to see a doctor. Ultimately, you’ll be sending the message that you care more about your desire to work than you do about taking care of yourself or others around you. Which may be why your coworkers might not be shy about letting you know how they feel about your decisions. Employees are getting sick of dealing with sick people in the office, so they may make it known that they don’t appreciate the possible contamination. They may scrub down desks and common areas, hand you cough drops or vitamin C supplements, and sternly tell you to go home. If others are doing their part to stay healthy and to keep others healthy, they may insist that you do the same. It can be a touchy subject, but most employees agree that coming into the office while ill is a selfish move that ironically serves no one. Employers can also do their part to alleviate presenteeism by encouraging workers to stay home when they’re sick and to create an office culture that alleviates the fears surrounding missed work days. Offices that offer remote work possibilities and flexible work hours can allow sick employees to rest when needed and reduce the risk of infecting others, too. Ultimately, some people feel they can’t afford to miss work, which is really a problem for which the business itself needs to accept responsibility. But if you’re in a position to stay home when you’re feeling feverish, you should probably do everyone a favor and take the day off. In many cases, illness is no longer seen as a valid reason for not working rather. It is considered to be something that people must put up with and get over. Sick days are for wimps.